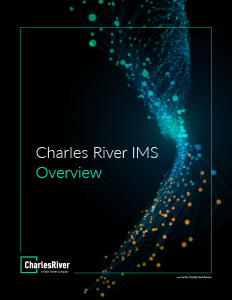 To help ensure high end-user satisfaction and value for clients, Charles River offers a comprehensive set of professional services designed to meet each firm’s unique needs based on the environment, available resources, budget, and overall goals. Our approach is pragmatic and flexible, encompassing implementation and consulting, educational services, technical and end-user support, onsite support, product knowledge transfer, and proven methodologies for successful deployment and maintenance. Charles River’s global services teams work proactively with each client to manage a successful implementation and create long-term relationships to meet ongoing business needs.